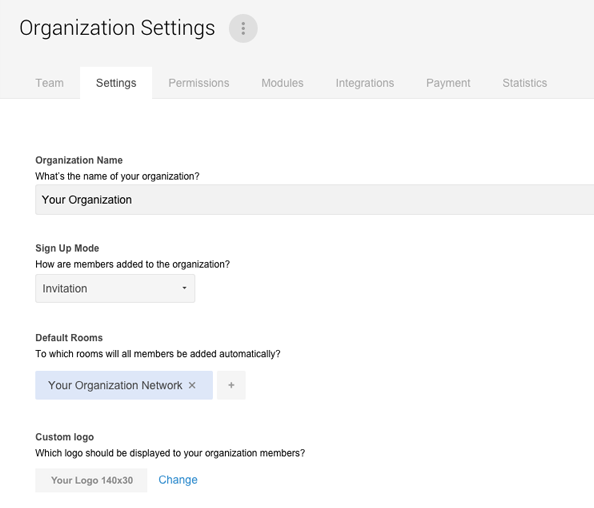 As an admin of an organization you can upload your own logo within the organization settings. 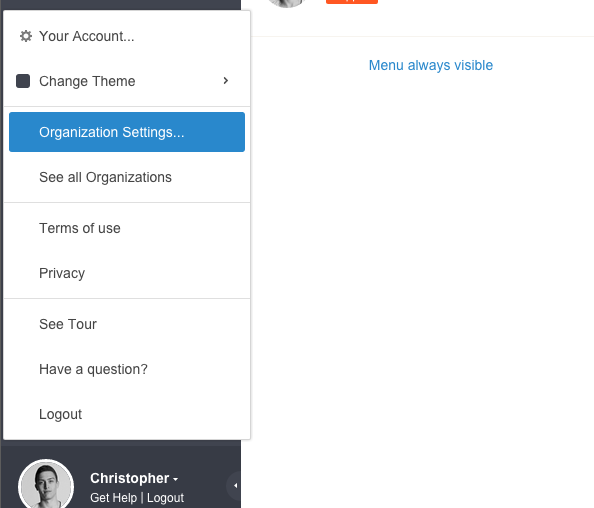 Open the settings by clicking on your profile picture / name in the lower left corner and select "Organization Settings". Then switch to the tab "Settings" and upload your logo at "Custom Logo". and selectings "Organization Settings..." afterwards. Upload your logo within the tab "Settings".